I am Srijana Kattel. I have an “acquired” disability which affects my “cerebellum” hence makes me take help of a walking stick apart from doing many things. Currently, am doing Masters in Sociology. English is not my language, so please free to point out any mistakes. My 40+ articles have been published in newspapers which I am told does not make me a published writer, is this something I should be worried about? In all, I Srijana Kattel am an amateur writer, a dreamer and at times a realist, a work in progress, a lover, and learner of life. I would really appreciate if you would like, comment, follow and share the blog. I still would benefit from more English lessons. So, Sirjana, where can we read some of your articles? And what did you mean that it will help you a lot if we read your blog? Is this part of your graduate program in sociology? I look forward to your future writings. Thanks so much for stopping by our blog yesterday and giving it a like……..otherwise I probably wouldn’t have found yours……and that would have been my loss ! Your blog is very informative. Thank you! You are very welcome and very deserving of this nomination. 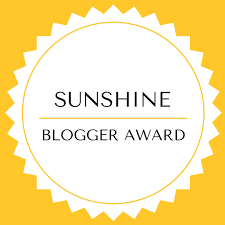 You and your blog are awesome, amazing, inspiring etc. etc…. Srijana,You are a talented writer.I have the problem with English.but you are far better than me in the language. Srijana, thanks for stopping by my blog and making me discover yours. I really like your writing! I am looking forward to more posts from you. hi. I became blind in my early twenties. it was hard at the time, because i kept wanting it not to be true. but i have accepted it since, and whenever i find something difficult, i tell myself, i have this disability, but this disability doesn’t have me. Nice to meet you Srijana and interesting to get to know you. Nepal. Now that is a country I would love more inside information about. High among the mountains I believe. Thank you so much for visiting and liking on my blog today, made me want to know who you are. See your u soon again . Glad to know about you Srijana and you are indeed a published writer. Thanks so much for stopping by my blog! Writing over 40 articles for newspapers sounds impressive to me.